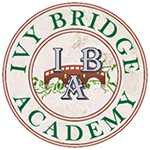 Ivy Bridge Academy is offering summer-long Saturday Summer Coding Camps. The program is open to all students entering K-12thgrades, and includes all levels of Coding, Computer Programming, & Game Design. 3) Marietta, Ga. : 4994 Lower Roswell Rd, Suite34, Marietta, GA 30068 – NEW Location! Visit our new Marietta, Ga Academic Campus for the best 2016 Summer Camps for the aspiring coders & computer programmers in Marietta | Smyrna | Vinings | Kennesaw | Cobb, GA.